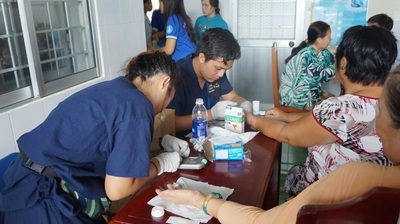 M.E.M.O.’s fundraising efforts during the school year culminate in a two-week medical mission to Vietnam during the summer. 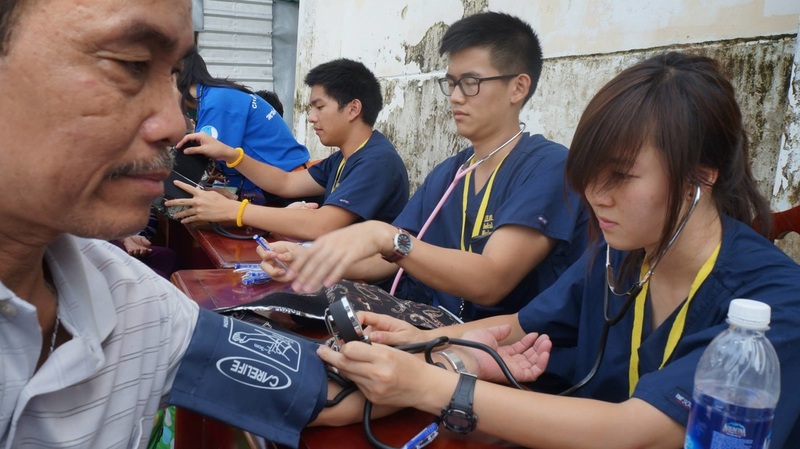 Students from all three chapters accompany medical professionals into impoverished areas to provide medical aid. On this Medical Mission, the students obtain patient vitals. Using these vitals, our doctors then provide a primary assessment, prescribing medication and/or transferring the patients to EKG or ultrasound specialists. 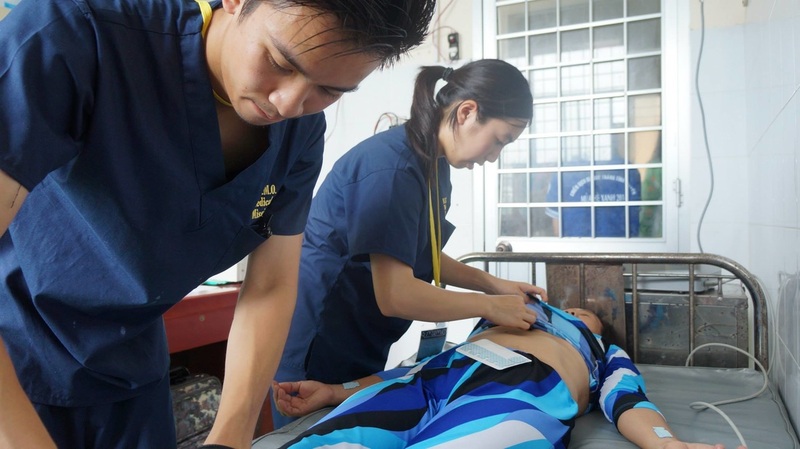 For the cases that are beyond our capabilities, we sponsor referrals to local Vietnamese hospitals. Finally, we have an in-clinic pharmacy where patients can pick up their prescriptions free-of-charge.